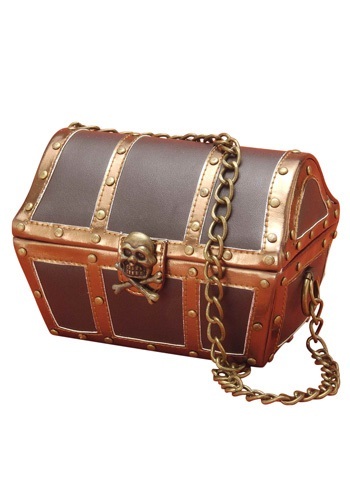 Pirate Chest Purse By: Forum Novelties, Inc for the 2015 Costume season. Keep all your treasure in a stylish and festive clutch! This Pirate Chest Purse looks adorable with any pirate costume and the detachable gold chain can change the purse into a clutch and vice versa. This is a cute little accessory to pair with any pirate costume for women.